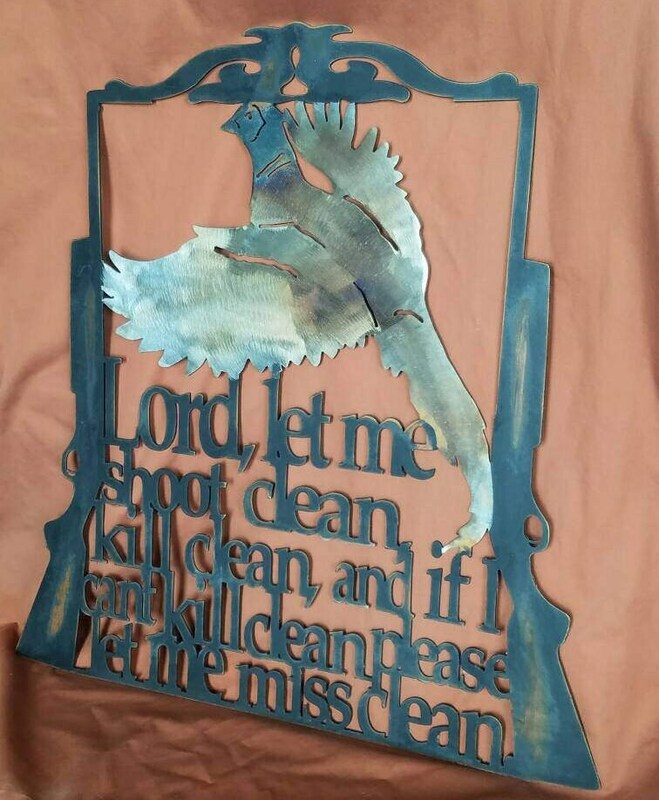 Metal pheasant hunter's solemn prayer wall art can be displayed in your choice of finish! 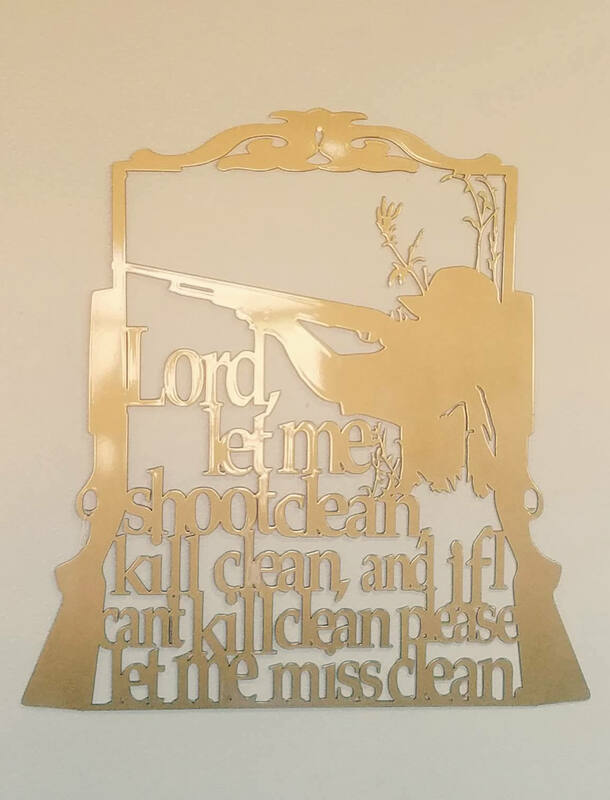 Beautiful metallic hunter's prayer sign reads "Lord, let me shoot clean, kill clean, and if I can't kill clean, please let me miss clean." Spare the bird altogether instead of making a poor shot. Choose from your choice of finishes. Pheasant with clear-coated black frame, Pheasant with distressed rustic frame, High quality bronze automotive paint, or a wide variety of powder coated finishes. The pheasant on this beautiful sign has been polished and colored with torch heat. The rifle frame of the sign is painted black. Then the entire sign receives a layer of clear-coat for rust resistance. Hunter sign is painted a beautiful metallic sandy bronze color in automotive quality paint and clear-coat. 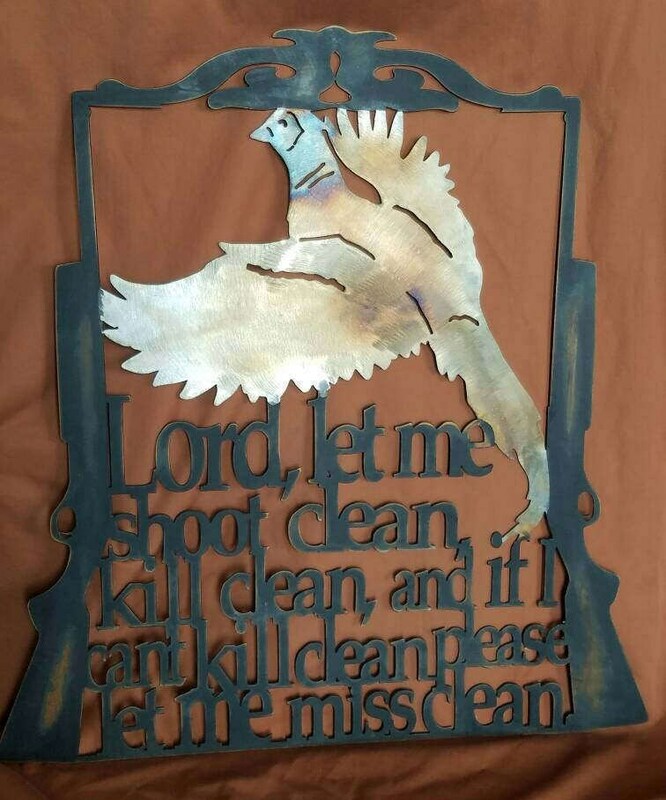 Hunting sign is 25" tall and 23.5" wide. Fits great onto a door or in an entryway. Great conversation piece! 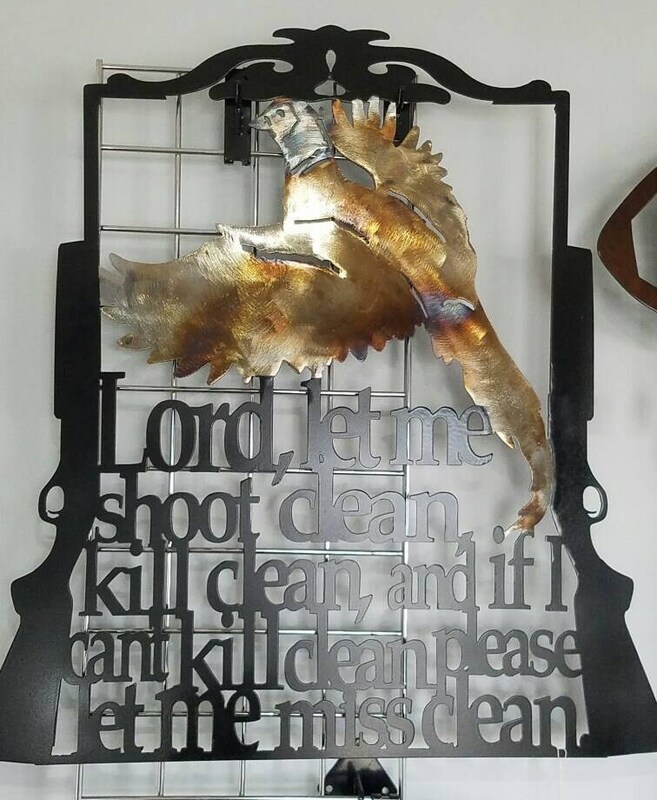 This inspirational sign is a beautiful addition to any hunting lodge, cabin or retreat center and suits many decor styles. We hope you love the hunter's prayer as much as we loved creating it! This piece is absolutely beautiful! 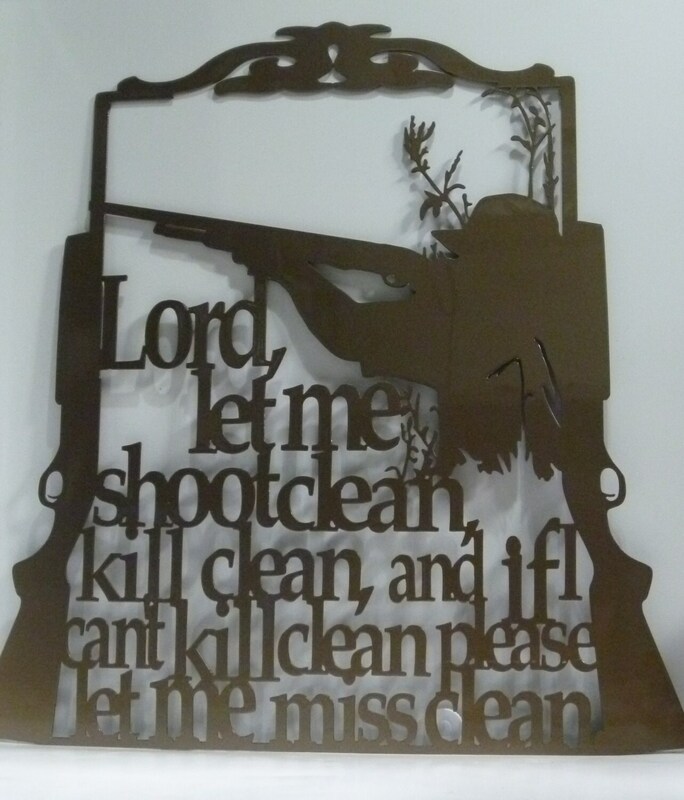 This was a gift for my husband because he is such an avid hunter. 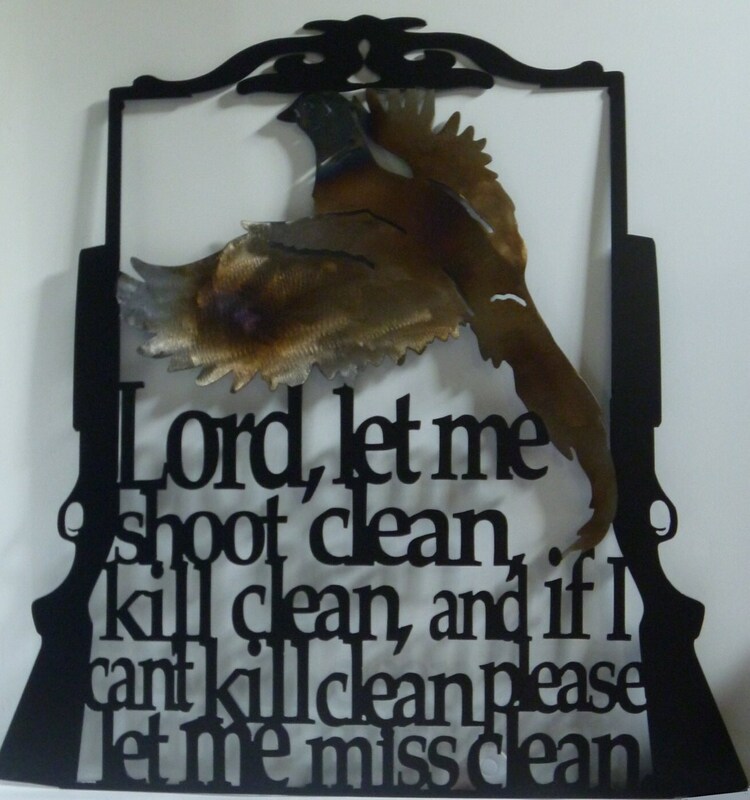 It is now hanging up in our home along with other hunting decor he has collected. This piece is amazing and very well crafted!